Is the XMI import/export functionality reserved for the commercial version of Modelio, or can I install a supplemental library or other plugin to do this with the open source version of Modelio? 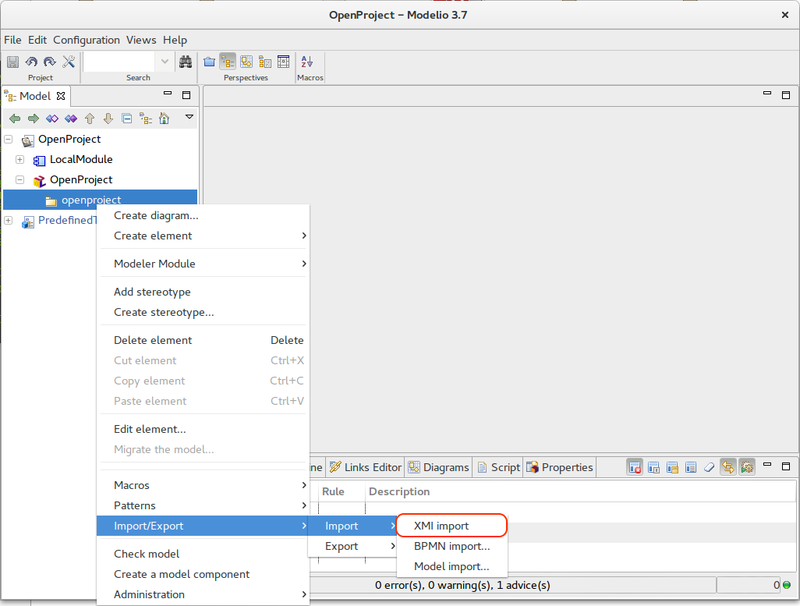 The XMI import/export feature is available on the open source version of Modelio. Last Edit: 1 year 2 months ago by osl. Warning : The relation "FormalParameter" existing on element "" of type "TemplateParameterSubtitution" can be exported because the target element type must be TemplateParameter.